*Spend & Save applies to full price styles only. Exclusions apply. Excludes Bridal and Kidswear collections. Available in boutiques, concessions, and online. Not available in conjunction with any other offers. 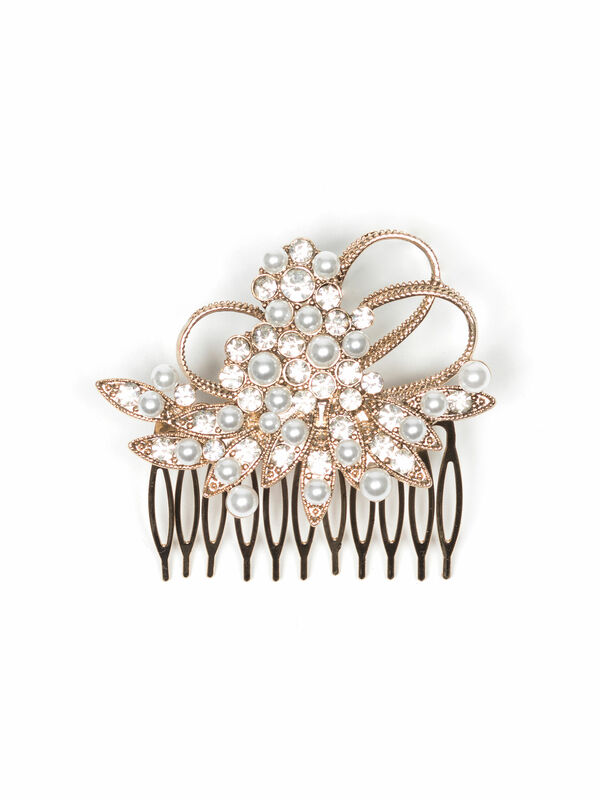 Ever After Hair Comb https://www.review-australia.com/au/ever-after-hair-comb-gold/RE19ACC241.RECRM047.OneSize.html The Ever After Hair Comb is fit for a princess with its ornate twist metallic structure and intricate crystal studs. It's set on a soft gold base and has a leaf design silhouette. The Ever After Hair Comb is fit for a princess with its ornate twist metallic structure and intricate crystal studs. It's set on a soft gold base and has a leaf design silhouette. Ever After Hair Comb is rated 5.0 out of 5 by 3. Rated 5 out of 5 by Kaz57 from Very elegant This pretty hair comb is exactly what I've been looking for! It is very well made, comfortable and easy to use .I would highly recommend it ,even looks great with jeans and a shirt .